Fertilizer recommendations for turfgrass are often based on soil tests that report the theoretical availability of about 16 elements traditionally considered essential for plant growth. The historical basis for what is considered essential for plant growth is from many years of research on plant growth as it relates to crop yield. Commercial testing labs have developed guidelines and protocol related to this research and agronomists and fertilizer companies supplied various formulations to meet the need. Some agronomists believe that essential or “basic” nutrients are necessary to meet all the plants needs but there is growing interest in the application of additional elements and compounds that can benefit plant health. These additional elements and chemical compounds are considered “beneficial” but not always essential for plant growth and crop yield. Another term that is often used for elements and compounds outside the traditional list of essential elements is “non-essential”. As with most scientific developments in production agriculture, the turfgrass industry takes notice and tries to apply these findings to growing turfgrass. Professional turfgrass managers are interested in these non-traditional compounds because some of them can induce beneficial plant responses that lead to healthierplantsandpossiblelesstraditionalfertilizerinputs. Thisarticlewilldiscusssomeofthosecompounds. Beneficial compounds may not be in the same category as a fertilizer nutrient, but they may elicit various plant responses. 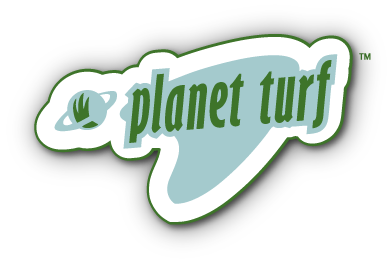 Seaweed extract is one of the most popular compounds having multiple positive effects on turfgrass. The problem for many is the fact that the exact mechanisms of plant response are not completely understood. In agriculture, “seaweed extracts consistently outperformed the controls (regular crop management program) and produced better quality fruit and higher yields.” (Norrie and Keathley, 2006) Turfgrass exhibits improved stress resistance due to antioxidant production when treated with seaweed extract and humic acids (Zhang, et al., 1997). There are many seaweed products marketed and no standard method of evaluating content, ingredients, or performance. The buyer is left to decide which products to purchase and how best to use them. considered essential for all plants. Si is very essential for rice, equisetum, and other plants, but not essential for turfgrass. However, Si can be beneficial because it enhances plant tolerance to drought stress and other abiotic stress. The scientific answers are theorized in a number of research reports. (Mukathar, 2012) As a result of this research, in addition to field results by professional turfgrass managers, there are many products that contain various forms of silicon compounds. Elements are often sold as a compound form. Nitrogen, for example, is sold as urea, ammonium sulfate, ammonium phosphate and a large number of other compounds. The same is true with silicon. Scientists are constantly looking for compounds that are more efficient, have higher plant availability and affordable. This results in a growing number of products that claim their chemical compound is better than the competition. In the case of silicon, the user has choices of what form of Si they can buy. Potassium silicate is one form of silicon that has been marketed, researched, and was used in the aforementioned research with positive results. Another form of Si, Optimizer PSiTM, is marketed by United Turf Alliance and contains amorphous opaline silica. This form is an organic plant derived form of Si claiming to be more efficiently absorbed and used by turfgrass. Beneficial compounds are surrounded by a good deal of skepticism. The phrase “snake oil” is a term that is assigned to products sold by unscrupulous salesmen to so called dull witted golf course superintendents. In leading turfgrass publication from 1998 entitled, Snake Oils, golf course superintendents are warned by the author, “Do not buy any new product sold by individuals whose claims cannot be substantiated by extensive university research.” In today’s world of reduced university research funding and growing number of beneficial compounds on the market, it is not possible for universities to test even a small fraction of the products being sold. Turfgrass managers can’t always wait for research findings before purchasing products to try. Kevin Hicks, superintendent at The Coeur d’ Alene Resort Golf Course in Idaho, believes that out-of-the-box thinking is critical to his success with regard to products containing non- traditional ingredients. “My career and reputation is on the line every day and I must find products, tested or not, that I can use as tools to better manage my golf course” Says Hicks. Products used on turfgrass come and go every year. The ones that remain are mostly the result of people using them, liking them, and seeing results. University testing and turfgrass manager observations from trials do not need to be conflicting methods of discovery. After all, necessity is the mother of invention. the potential to absorb a greater amount of nutrients than leafs, but soil conditions can greatly limit nutrient availability. Soil pH, soil water content, antagonistic soil chemical reactions, leaching, and nutrient tie-up are just a few of the challenges related to nutrient uptake efficiency of roots. A different set of conditions affect foliar absorption. They include the form of nutrient, size of the molecule, time of leaf wetness, nutrient concentration, and water application rate. Economics plays an important part of the decision making process. The cost to include beneficial compounds to the current nutritional program must be offset by benefits that could include less pesticide applications, better tolerance to stress, improved plant density, more efficient uptake of essential nutrients, more predictable growth response, and overall improved turfgrass health. A growing number of research reports show statistical improvements to turfgrass quality from applications of biostimulants (Mueller and Kussow, 2005). Root development has been reported to improve from the use of some biostimulants and used with the planet growth regulator Trinexapac-ethyl. Other research shows improved color and reduced leaf senesce from the application of biostimulants (Huang and Xu, 2009). Practical experience by turfgrass managers continue to reveal non-food plant products that can achieve benefits beyond that of using only traditional nutrient fertilizers. Observing results of these applications and correlating the results to published literature can provide a deeper understanding of how to use non-traditional compounds to bolster the effectiveness of current nutrient programs. All of this information will improve the managers’ ability to make decisions about programs that build healthier turf. Zhang, Xunzhong; Ervin, E. H.; Schmidt, R. E. 2003. Journal of the American Society for Horticultural Science. July. 128(4): p. 492-496. Baird, James H. 2007. Soil Fertility and Turfgrass Nutrition 101. USGA Green Section Record. September/October. 45(5): p. 1-8. Bukovac, M.J., and Wittwer, S.H. 1957. Absorption and Mobility of Foliar Applied Nutrients. Michigan State Agricultural Experiment Station. Journal Article No. 2059. Huang, B., and Xu, Y. 2010. Promoting Better Summer Performance of Creeping Bentgrass through Application of Trinexapac-ethyl and Seaweed Extract-based Biostimulants. USGA Turfgrass and Environmental Research Online. Volume 9, Number 7.
creeping bentgrass putting green quality. Hort Science. Vol: 40. WSDA, 2010. Fertilizer Registration Guidance Document. PUB 90. Science. July. 128(4): p. 492-496.